There is nothing quite like the sound of a great live concert. Whether it's a Rock Headliner, an eighteen piece swing band, or a ninety voice chorus with a thirty piece orchestra, Sound Engineering Services has a remote recording solution that is perfect for most events. 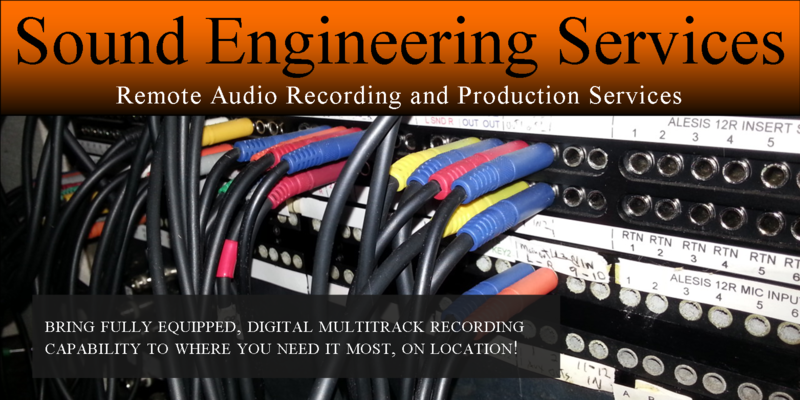 Many nationally recognized artists have recorded with Sound Engineering Services. The professional staff has decades of combined experience in the music and recording industries. That means every project receives the attention to detail and quality it deserves.